Create amazing BOX deals for your amazon affiliate sites in a few clicks and earn more money and commissions from Amazon using the power of this unique plugin. But we won’t have this available for a long time at this hugely discounted price! 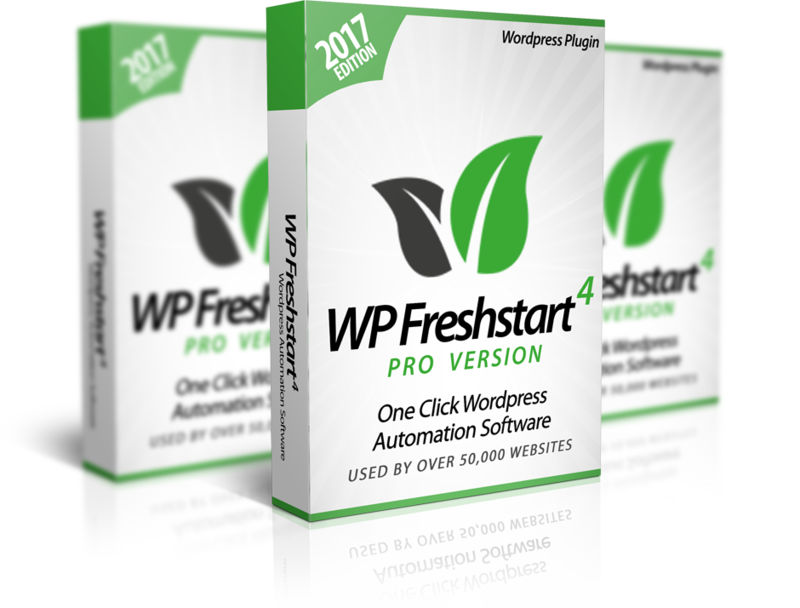 All you have to do to grab your copy today is click the button below and get instant access to WP Freshstart PRO Unlimited Sites License. Hurry up and download your copy today before the price goes up. + Use this on ONE personal site you have. +	Use this on UNLIMITED personal sites you have. + You Get 2 BONUS Plugins of $94 Value with Unlimited Sites License!